...just put an additional passenger in the back of the car. Thanks to a blizzard, numerous mutton and tea breaks, and broken headlights, the trip from Bishkek to Osh took 18 hours instead of the normal 8-9 hours. 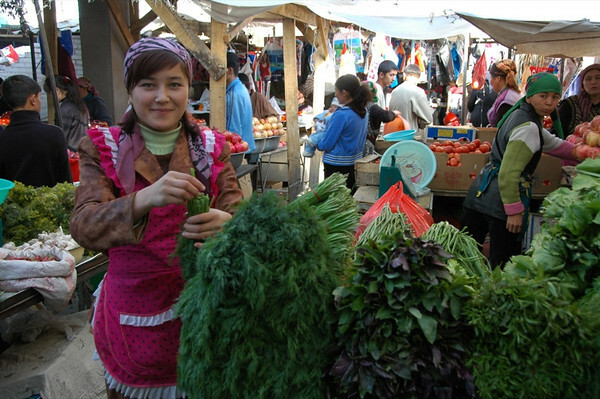 Read more about Kyrgyzstan's sights and cities. 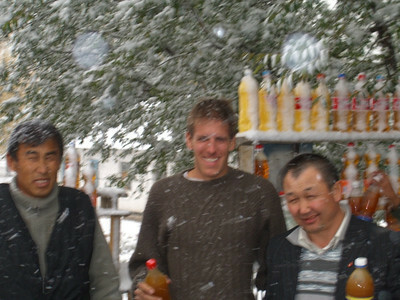 What better time to stop for mountain honey than in a snow storm? The trip from Bishkek to Osh normally takes 8-9 hours in good weather. 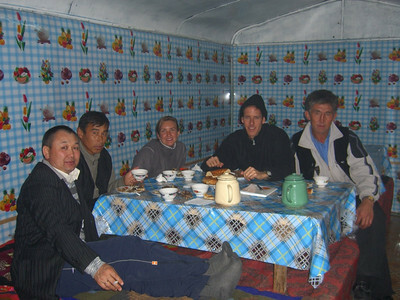 Add in a Kyrgyz family vacation element, bad weather and broken headlights and the total trip time turns into 18 hours. Read more about Kyrgyzstan's sights and cities. 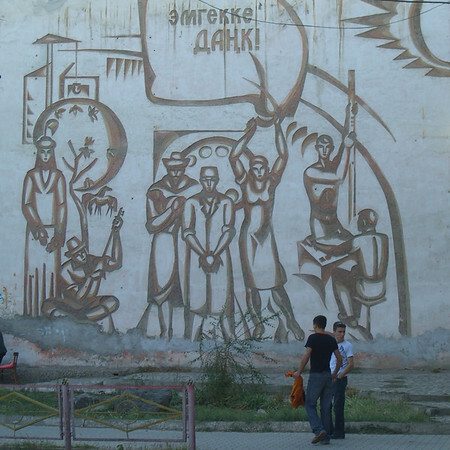 If you keep your eyes open in Osh, Kyrgyzstan you'll find some interesting Soviet paintings and murals on the sides of some of its buildings. Read more about Kyrgyzstan's sights and cities. After getting through the worst of the snowbound mountain passes, we stopped at a makeshift cafe for huge chunks of mutton and tea. 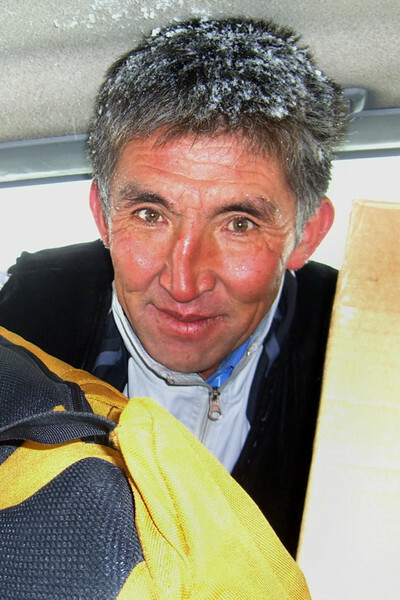 Taken on a seemingly endless journey from Bishkek to Osh. Read more about Kyrgyzstan's sights and cities. 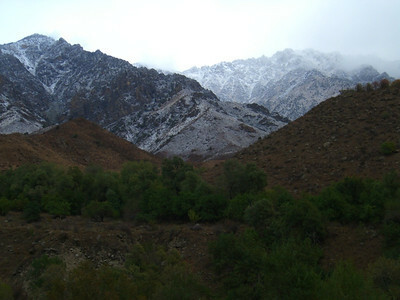 The Kyrgyz Alatau Range between Bishkek and Osh received its first major snowfall at the same time we decided to travel the route. Beautiful, but it added a few hours to our journey. 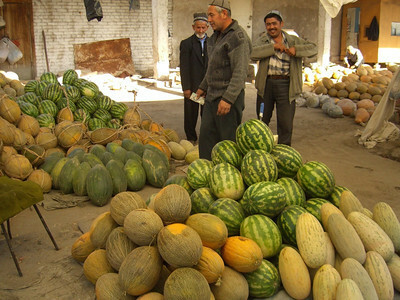 Read more about Kyrgyzstan's sights and cities. 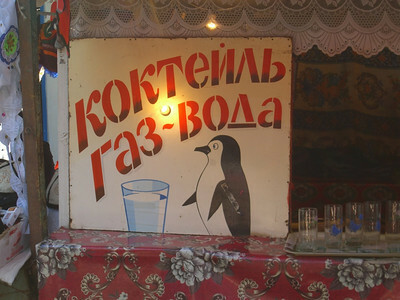 Clever marketing employed by a soda stand in Osh, Kyrgyzstan. Read more about Kyrgyzstan's sights and cities. 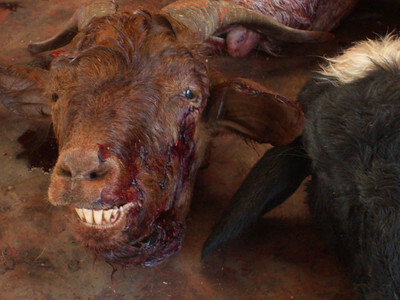 Selling the tasty bits of the goat head separately...yum! A flashback from the bazaar in Osh, Kyrgyzstan. Read more about Kyrgyzstan's sights and cities. 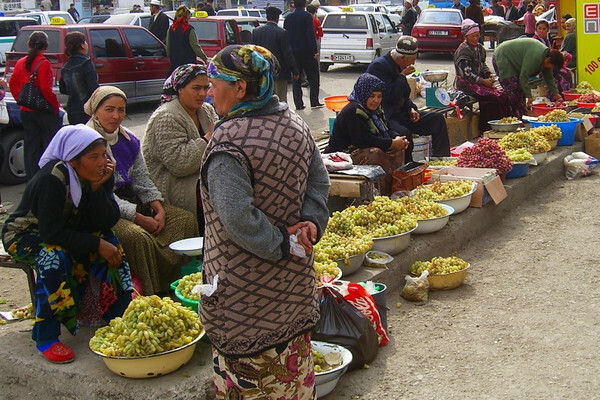 Grape vendors line the streets of Osh, Kyrgyzstan. 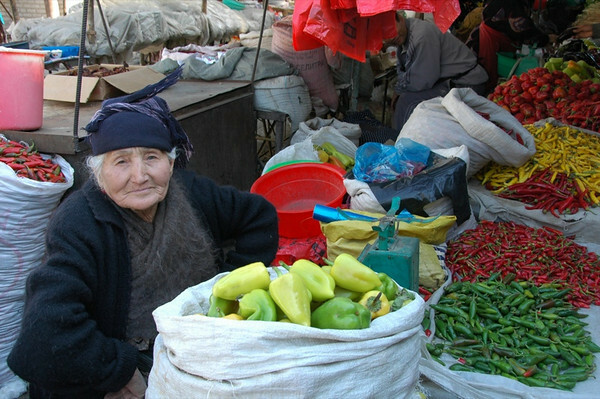 Read more about Kyrgyzstan's sights and cities. 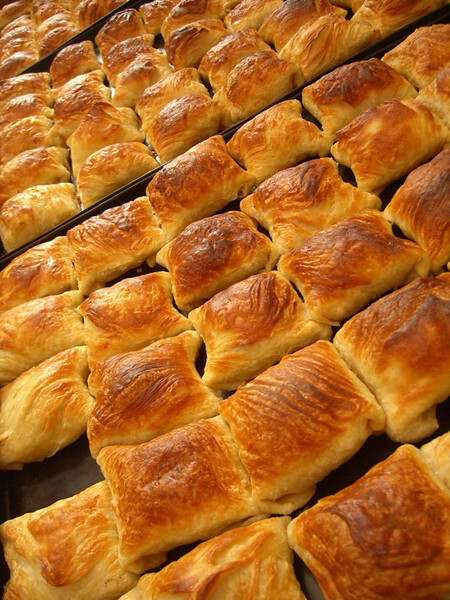 Somsas are filled pastries, but beware of the hunks of meat and fat inside. Central Asian somsas (pastries filled with meat) always look and smell so good, but the meat tucked inside can yield an assortment of bits and parts that can be challenging to get through. Imagine a sheep doing a swan dive into a meat grinder. Read more about Kyrgyzstan's sights and cities. 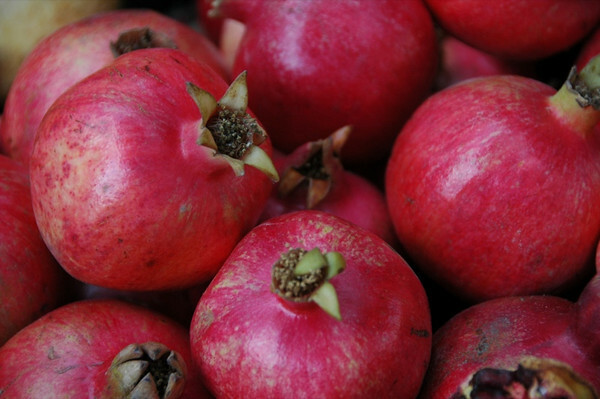 This vendor insisted that we sample all of his pomegranate varieties (sweet and tart). Read more about Kyrgyzstan's sights and cities. 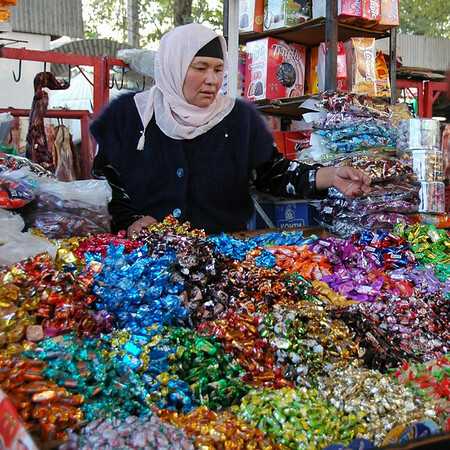 Tea time at a private home in Kyrgyzstan or Tajikistan can often include a plate of brightly wrapped sweets. We wondered where it all came from. 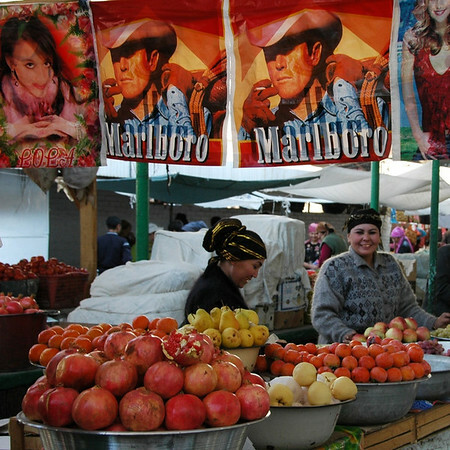 Now we know - the bazaar in Osh, Kyrgyzstan. Beware, the colorful wrappers are often more appealing than what's inside. Read more about Kyrgyzstan's sights and cities. 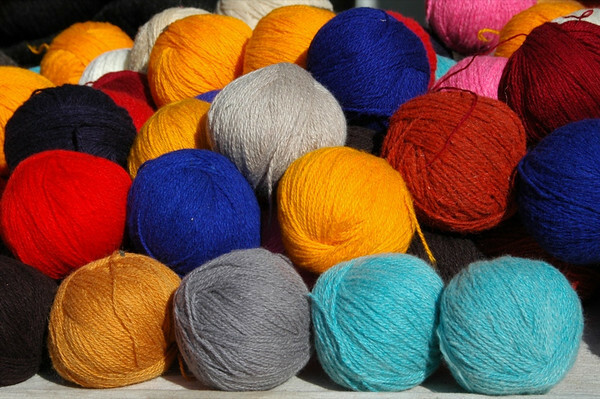 Balls of yarn at the bazaar in Osh, Kyrgyzstan. Read more about Kyrgyzstan's sights and cities. 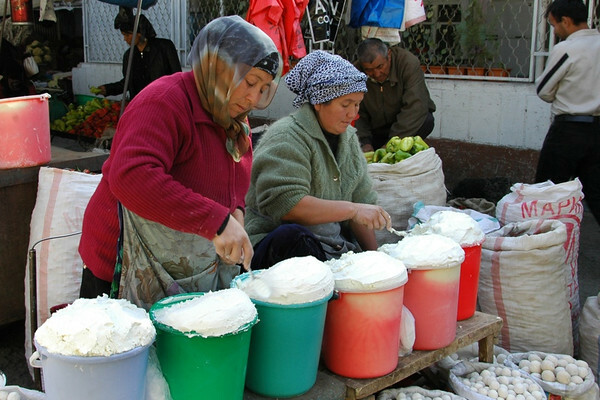 Women line up to sculpt yogurt into kurut (tart balls of dried yogurt) in Osh, Kyrgyzstan. Read more about Kyrgyzstan's sights and cities. 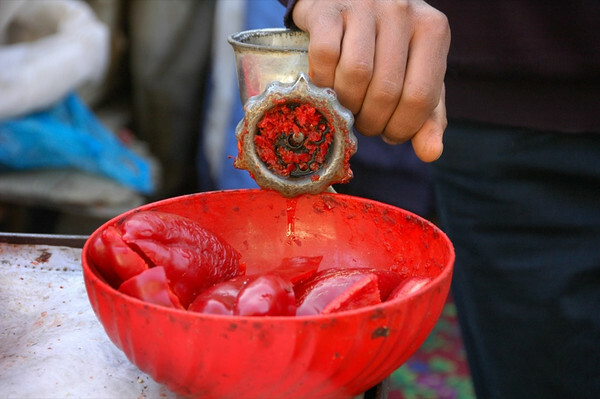 Peppers meet their eternal reward at the bazaar in Osh, Kyrgyzstan. Peppers are ground in preparation for use in lagman, the ubiquitous Central Asian noodle-based dish. Read more about Kyrgyzstan's sights and cities. 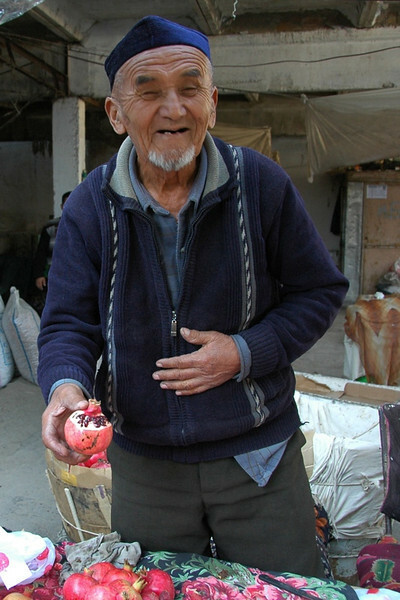 Taken at the bazaar in Osh, Kyrgyzstan. 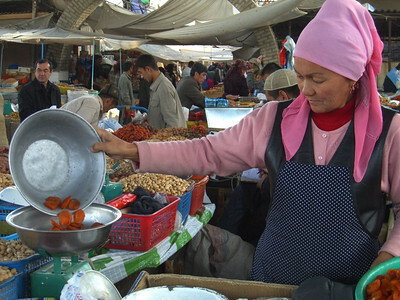 Read more about Kyrgyzstan's sights and cities.